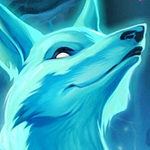 The Wild format provides a unique environment where all cards are playable and numerous decks are viable, so there will always be a few lists and variations that may be missed. We have the Wild Meta Deck Tier List below with the best decks in the format, but also provide a class-based version that includes many other decks that can be played if you enjoy a specific hero! 2/19/19: Updated after the 2nd Rastakhan’s Rumble nerf patch. 1/17/19: Updated for the post-nerf Rastakhan’s Rumble meta. 9/14/18: Updated for The Boomsday Project meta. 6/6/18: Updated for the post-nerf The Witchwood meta. 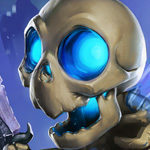 3/12/18: Stonekeep updated the post-10.2 nerf patch Kobolds and Catacombs meta. If you are curious what the absolute best decks are right now, here’s a list of them below. 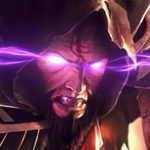 This list of deck rankings is based on various sources including Vicious Syndicate, Metastats, and HSReplay. If you want to see the best decks per class, keep scrolling down the page! These are the absolute best decks to take to the Wild ladder right now. These are very good decks but, usually, have some poor matchups against the best decks in Tier 1. These decks can fluctuate up and down depending on the meta they are facing. These decks can find some wins but are heavily dependent on the matchup and potentially unreliable. The remaining decks may not be well-positioned at the moment, but small shifts in the meta could result in improvements to their position. The Jade mechanic is is now completely exclusive to Wild. As one might expect, Druid makes the best use of the Jade gameplan. Jade Druid runs the typical assortment of Druid defensive tools, which can stall against fast decks thanks to a slew of Taunts and Armor generation mechanics, such as Spreading Plague, Branching Paths, and Malfurion the Pestilent. Still, the deck is capable of out-valuing slow decks with the potential to go infinite with Jade Goles – Jade Idol allows Jade Druid to completely avoid fatigue without ever running out of threats. The recent nerf to Wild Growth and Nourish has certainly slowed the deck’s early turn ramp, but the deck is not yet dead. Once a dominant force in the Wild metagame, Aggro Druid is now a shell of its former self. The deck has gained very little of late and, since the introduction of the Kobolds and Catacombs expansion, has struggled to get past large Taunts. Worse yet, the rise of Even and Odd decks have pushed Aggro Druid off the board and out of the meta. Still, the deck is capable of explosive openers (featuring old favorites like Living Roots and Mark of the Lotus that can punish unsuspecting, slow-developing decks. It’s no secret that several rounds of nerfs to the Druid class, first Aviana and then Wild Growth and Nourish, have left Malfurion struggling in Wild. Fortunately, this new build of Mill Druid requires none of these cards to pull off an effective combo. With the help of Gadgetzan Auctioneer and a slew of low-cost spells, this deck can churn through the deck quickly before landing a well-timed King Togwaggle into Naturalizes and Coldlight Oracles for massive bursts of Fatigue damage. As in Standard, Secret Hunter became far more common after the release of Subject 9. Unlike Standard, however, Wild players still have access to Cloaked Huntress to dump these Secrets into play for an extremely powerful swing resembling Mysterious Challenger. Likewise, Mad Scientist, quietly one of the strongest cards in Hearthstone history, is again playable in Hearthstone’s eternal format. Most importantly, the Hunter Secret package creates massive headaches for board-centric decks common in the format putting this deck in a good spot in the current meta. Once a common sight on the Standard ladder, Spell Hunter is a not quite as prevalent in the Wild format despite being able to steal games with Barnes into Y'Shaarj, Rage Unbound. The new addition of Master’s Call makes this strategy even more reliable, presenting a difficult board state on turn four. Even without this early high roll, the deck is a solid choice for climbing. The availability of Cat Trick and Quick Shot gives the deck a little extra burst, while Deathstalker Rexxar can still hard carry in some matchups. Like Secret Hunter, Spell Hunter can put an immediate halt to early board aggression giving the deck an opening for its powerful midgame. 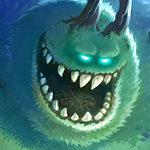 Initially, many Wild players feared the combination of new Mechs from Boomsday and those released in Goblins vs. Gnomes would make the tribe oppressive in the format. In the end, this didn’t quite pan out, but a new form of aggressive Hunter did assert itself in the Wild meta. Combining Mechwarper and Galvanizer helps cheat the mana curve into powerful burst turns with Metaltooth Leaper. Similarly, sticky Mechs make it likely to land a Magnetic minion on board, essentially giving it Charge. For budget-minded players especially, Mech Hunter is a solid option for the Wild ladder. Another deck ported over from the Standard format, Midrange Beast Hunter does gain some powerful tools in Wild. The deck relies heavily on strong early turns, bolstered by Alleycat and Kindly Grandmother. Should the deck run out of stream Master's Call, Deathstalker Rexxar, and Dire Frenzy provide the deck with plenty of late-game value. The recent wave of nerfs seems to have left an opening for Midrange Beast Hunter in Wild, making it the strongest option for the class at the moment. Tempo Mage is one of those Hearthstone decks that always seems to be relevant. There’s no denying the power of the Legendary weapon Aluneth when coupled with Mage’s efficient burn spells. In Wild, Secret synergies are far more potent than in Standard, making it the most consistent build of Tempo Mage. Cards like Mad Scientist, Medivh's Valet, and Kabal Crystal Runner make it easier to get on board and apply minion pressure. Losing Mana Wyrm hurts the deck’s openers, but it still has even burn to finish games. Of the three Kabal classes, Mage may be clinging to the bottom rung of Reno decks. 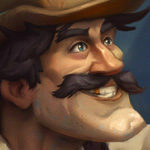 Still, numerous AoE spells and the possibility of multiple Reno Jacksons allow the deck to grind out aggro matchups. Even with so many anti-aggro tools, the deck can rely on Frost Lich Jaina and Ice Block to outlast nearly any other deck in the format. As exciting as it is to hurl infinite Fireballs at an opponent, Exodia Mage suffers from polarizing matchups and the inherent risk of bad draw order. Still, against certain opponents, Exodia Mage is more than capable of accumulating wins on the Wild ladder. In the Wild format, Exodia Mage leans on Emperor Thaurissan (rather than the Quest) to reduce the cost of at least four out of five combo pieces before going in on the combo. Like its Dude Paladin predecessor, Odd Paladin takes advantage of the numerous Silver Hand Recruit synergies available in the Wild format. While the Level Up! nerf hit hard, the deck still has plenty of powerful tools to make it viable in the current meta. Specifically, Warhorse Trainer, Quartermaster, and Fungalmancer all complement the upgraded Hero Power quite well. With so much Dude generation, it’s rare that Odd Paladin is lacking Recruits to buff. This deck is capable of overwhelming opponents with fast starts, but with so many board refills, it has enough sustain to apply pressure over the course of longer games as well. Aggro Paladin took a bit hit with the nerf to Call to Arms, but the deck is still a strong option for the Wild ladder. In particular, the deck benefits from a potent Pirate package featuring Ship’s Cannon to blast opponents for extra damage, especially when pulled from Call to Arms. With the inclusion of Prince Thekal and Molten Giants, the deck comes complete with some massive high roll potential. Even without the explosive turn three, Aggro Paladin is well-positioned in the current meta. An old favorite archetype, Anyfin Paladin has seen a resurgence lately. Anyfin Paladin relies on killing off five critical Murlocs to burst opponents for huge amounts of damage. The deck benefits from the deck-thinning that Call to Arms offers on top of incredible card cycle from Divine Favor. 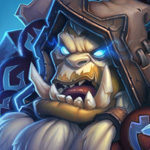 Most current build are leaning towards a more aggressive early game featuring numerous Divine Shield minions and Rallying Blade along with the Molten Giants combination. In Wild, Exodia Paladin returns to its roots with Auctionmaster Beardo to assemble the four horsemen on a single turn. In Rastakhan’s Rumble, the deck gained two powerful new tools in Banana Buffon and Time Out! The former gives the deck low-cost spells to use in the combo while Time Out! stalls for turns to set up a crucial Emperor Thaurissan. Capable of stealing games on turn four with Barnes, this controversial deck remains a top option in the Wild format. With additional Resurrect effects in Wild, the deck is capable of layering threats far more efficiently than Standard variants were able to. At the top end, Ragnaros the Firelord can burn down opponents quickly, even in unfavorable matchups. Despite nearly universal disdain among the community, Big Priest is a formidable option for the Wild ladder. While not the oppressive archetype it once was, Reno Priest still has the tools to keep aggressive decks in check long enough to burst down opponents. Granted, this takes a bit longer now that Raza the Chained no longer reduces Hero Powers to zero, but the potential for surprise kills is still there for Combo Reno Priests. In fact, the featured build of Reno Priest can score an OTK without either Raza or Anduin. Inner Fire Combo Priest is an old archetype in the Wild format. The deck is centered around high-health minions that can be leveraged for the Divine Spirit + Inner Fire combo for insane amounts of damage. Like many combo decks, the deck is susceptible to aggressive, board-centric strategies and poor draws. The Dragon package can help alleviate some of this pain, but the deck continues to struggle in finding a footing in the current meta. With the right pilot, however, Inner Fire Combo Priest is a force to be reckoned with in Wild. After making waves in Standard, APM Priest quietly became a niche deck in the Wild format, utilizing a different combination of cards to amass infinite damage (should your mouse-hand be quick enough). In Wild, the deck revolves around generating massive amounts of Spell Damage through Velen’s Chosen to strike the opponent for huge Holy Smites. This use of burn instead of Stonetusk Boar makes the deck a bit easier to pilot thanks to its ability to bypass Taunt minions completely. Still, the deck offers a uniquely rewarding challenge and can punish many slow-developing decks. Many feared the nerf to Leeching Poison would be the death of Kingsbane Rogue. 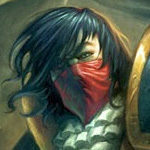 The archetype, however, refused to go completely Vanish and instead takes a new, more aggressive shape with the addition of Raiding Party and a slew of weapon-buffing Pirates. While the deck loses its longevity without access to healing, it’s more capable of building a massive weapon to chew through an opponent’s life total. If the deck finds itself in a tough spot, Myra’s Unstable Element can fish for cards to close the game. Rogue’s natural Hero Power is capable of generating great Tempo for Valeera. An upgraded Hero Power (thanks to Baku the Mooneater) can swing even more Tempo for the Rogue. In Wild, the Pirate Package, fully-equipped with Patches the Pirate, returns to its former glory in this aggressive Odd Rogue list capable of taking full advantage of a turn two Hero Power. Additionally, Wild-exclusive Dark Iron Skulker helps shore up Odd Rogue’s susceptibility to wide board states while Vilespine Slayer can easily handle the largest of threats. Even after the nerf to Cold Blood, the deck can form a potent board and overrun opponents. The trademark deck of popular Wild content creator Dane, Big Rogue frequently pops up as one of the most-played decks in Wild, despite not being highly competitive. The deck is, however, capable of massive swing turns and can churn out threats like few other decks. Big Rogue relies heavily on early Kobold Illusionists and Deathrattle synergies to pull 1/1 copies of minions from your hand into play. Even Shaman is an archetype that popped up soon after The Witchwood expansion when multiple players reached high Legend ranks with various builds. By many accounts, it’s overtaken the metagame as the top archetype in the Wild format. 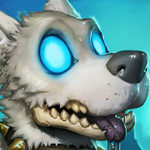 Even Shaman utilizes Genn Greymane to reduce the cost of Totem generation and relentlessly develop onto the board. Cards like Thing from Below and Sea Giant have their costs reduced quickly, easily cheating the mana curve and continuing the board pressure. The Flametongue Totem nerf helps slow down the deck’s gameplan, but it remains Shaman’s strongest archetype in Wild. Once a dominant force in the Wild metagame, Aggro Shaman has seen a resurgence of late thanks to Spirit of the Frog. This 3-mana draw engine allows the archetype to shift towards a heavy emphasis on burn spells giving it the ability to burst opponents for huge spikes of damage over two turns. While some of the cards may be unfamiliar, the dreaded Tunnel Trogg into Totem Golem opener capable of stealing games quickly remains intact. While, thanks to the availability of Doppelgangster for infinite combos, the change to Saronite Chain Gang hit Standard harder than Wild, the most effective Shudderwock build since the nerf has been centered around the Jade mechanic. With enough Jade generators and Loatheb in the Battlecry pool, Shamans can build a massive board and lock opponents out of casting mass removal spells. Renolock is one of the more nostalgic Warlock archetypes in the Wild format. The deck seems capable of turning on a dime–shifting from a removal-based strategy to heavy aggression from one turn to the next. Better still, the highlander nature of the deck allows it to be teched and refined for the shifting metagame. This flexibility makes Renolock feel as though it has a chance against nearly any deck in the format, so long as it is built accordingly. Even after the nerf to Kabal Lackey, Cubelock is a strong option in the Wild format. More and more players, however, are instead leaning on Voidcaller and Skull of the Man'ari to cheat Demons into play rather than the now six-cost gnome. Still, just like in Standard, lists unchanged after the nerfs are more than capable of making their way up the Wild ladder. The deck’s explosive potential is amplified in Wild by the presence of Mal'Ganis, who offers huge buffs to Demon boards in addition to the hero immunity. Even Warlock, while not as popular as in Standard, still has a place in the Wild format. In Wild, on top of the usual assortment of threats, Gul’dan regains access to Molten Giant which further incentivizes reducing your life total. Likewise, Faceless Shambler gives the deck a chance to duplicate beefy minions on board. 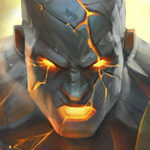 These additional Giants give Wild Even Warlock relentless threat generation that can blow out unsuspecting opponents. Zoo Warlock remains a lower tier option for Warlock due to the prevalence of slow, controlling decks with large Taunt minions in the format. Still, Zoo Warlock is another archetype that always seems to be relevant to some degree. In Wild, new Discard synergies from Rastakhan’s Rumble have once again refocused the deck around the mechanic. As a result, Zoo Warlock has some explosive Tempo plays and a more cohesive strategy than its had in pas Wild iteration. While not the force it once was, it’s still a reasonable choice of deck for the Wild ladder. Few decks can cycle through their cards quite as fast as Mecha’thun Warlock. Even with this incredible draw capacity, the deck maintains consistent defense that frustrate aggressive opponents. Sense Demons into Voidcaller and Voidlord can make for a quick Taunt wall, only to be brought back in the late game by Bloodreaver Gul'dan. Not only that, the combination of Bloodbloom and DOOM! can clear the board while drawing deeper into your deck. This new combo Warlock deck is one of the most powerful options for the class right now. Pirate Warrior has long been the favorite archetype for Wild Warriors. Despite not gaining any new cards in recent sets, the deck is still one of the most formidable aggro decks in the Wild format. Ship's Cannon dramatically increases the deck’s burst potential, pushing it way beyond what was possible when it was a Standard mainstay. This card, coupled with high-value Warrior Weapons such as Death's Bite and Cursed Blade (yes, really) give the deck enough power to get off to explosive starts and maintain pressure until the opponent’s hero portrait explodes. On the opposite end of the spectrum, Dead Man’s Hand Warrior looks to grind away at opponents before winning the game in Fatigue with burst from Brann Bronzebeard and Coldlight Oracles. The deck is capable of scoring easy wins against certain matchups (notably board-centric decks with limited card draw), but the polarizing matchups work to the archetype’s disadvantage, as well. Too many common Wild decks can simply roll over Dead Man’s Hand Warrior, layering threats more efficiently than the Warrior can remove them. Still, Dead Man’s Hand Warrior devotees seem capable of taking the deck to high ranks when the meta cooperates. 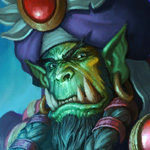 A card game veteran, Roffle has been infatuated with Hearthstone since closed beta. These days, he spends most of his time tinkering with decks on ladder or earning gold in Arena (f2p btw). In particular, Roffle has a wealth of experience in competitive Wild Hearthstone, including a top 16 finish in the inaugural Wild Open Tournament and numerous high end of season finishes since the format’s inception. Check out Roffle on Twitter or on their Website! Got hyped by the upcoming WCG event so i checked this decks and it is indeed best decks. i’m gonna be surprised if i saw one of this deck builds on World Cyber Games. Is it just me or some of this decks are imbalanced? I wonder if they will implement combination of cards like this on World Cyber Games. 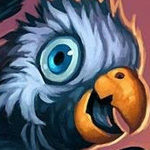 Wild Meta Tier List was just updated (again) for the Rastakhan’s Rumble second nerf patch. Thanks a lot to Roffle for handling it! Comments below this one might be outdated. 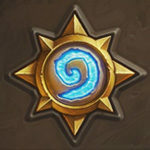 Trying to get back into hearthstone a little bit; haven’t played in about two years and want to know which streamers I should watch for wild gameplay. Any other info is appreciated. I use to play a lot of GOOD control decks, UNLIKE reno and jade decks, enjoyed secret hunter when it started in standard, and enjoyed aggro paladin and tempo shaman, NO MURLOCKS or PIRATES. Also, which expansion packs are best to spend coins on other than classic, out of all that are available? And which cards are new staples to craft? 1. Is worth to spent dust on wild cards? 2. I realoy want to start my journey in this format and play aggro decks (because they cheap). I have a dillema about crafting order in Odd Rogue – i dont have Loatheb, Patches, Zilliax and Boom. What should I craft frist? Which of this cards is most important? Also, I want to play Aggro Druid and Pirate Warrior, so IMO Patches is frist craft, right? 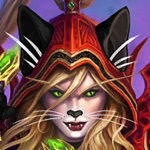 Also, replacemenf for Aya in Even Shaman? Craft Patches first, then Loatheb. If you want to play Odd Rogue and Pirate Warrior, then you should definitely craft Patches. It provides a lot of sticking power on the board. Aggro Druid May or May not run it, but I find it a good inclusion as it has synergy with boardwide buffs. Loatheb is amazing in all Odd decks and other aggressive decks and I would consider it a core 5-drop. It’s just too powerful for its cost. 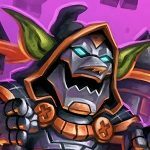 Dr. Boom and Ziliax are not core cards. I repeat, they are NOT core cards and in fact, from my experience, they bring down the deck’s winrate. Dr. Boom is too slow and is often a dead card while Ziliax is rarely useful considering the fact that you should be the aggressor in most matchups. Unless you run into Odd Paladin, it’s bad. Really, just don’t craft Dr. Boom. He isn’t seen in other decks anyway. Ziliax on the other hand is great in slower decks and can be slotted in if you are going to craft him for those other decks anyway and if you really want to use him for the sake of following this list. Wrong! Dr 7 is DA SHIZZZZNITT! This will be updated soon, we were intending to make changes but then the nerfs hit unexpectedly. Bring them on!!! I can not wait…!! This decks was from september, no updates with the new expansion? Comments under this one are from prior updates. Wild player here. Looking forward to the Boomsday update! Thanks a lot for the information, I had been looking for it for a long time. But I can’t understand why reno priest is tier 3 deck. We can put there skulking geist and jade druids wiil not be a problem anymore. Every aggro deck haven’t got any possibility to deal with all of these removals and heal. Also these is a lot of taunt druids playing in wild, so we can use a combo with confuse(I think it is very usable card) + dk to cope with “fat” creatures. Kazakus potion that transforms enemy creatures into 1/1 sheep can ruin a combo with witching hour + carnivorous cube, often it will be enough to win the game. This is only a theory, but there is smth about it(sorry for my english). @Martian @Roffle The Cubelock list is not Dean’s. You mention Sense Demons and Skull but you use a Dooguard build without either of the aforementioned cards. The Odd Rogue deck you have shown is a Miracle Rogue deck. Jade druid or tempo mage is good? Both are very good options in the current Wild metagame. 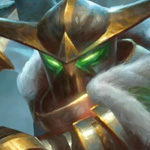 Digging this website, but the fact that wild has been totally neglted is a huge bummer! 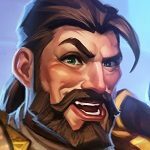 We are very much due for an update now that the nerfs to Paladins and warlocks have gone live. I’m particularly curious if Reno lock can exist again or not. I have been out of the loop for some time now, and would definitely welcome some options to get back into Wild. Standard ironically is too expensive for me to play right now. Early indications suggest that Renolock is once again one of the better decks in the format. Built properly, it can dominate Even Shamans while still having game against Aggro and builds of slow, combo Druids. 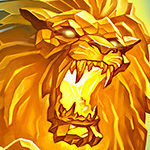 You gane update after or befor the nerf? Are these decks going to change with witchwood or no? Some of the decks will likely change a bit after the expansion. Likewise, some new archetypes might pop up. We’re waiting to let things settle a bit before updating the decks/article. That’s wise, I’ll go with it. I look forward to this section being updated as well, but understand it takes time. Thank you for your work on this! My play so far is that I made it to rank 5 in wild, but am stuck there. Two steps forward, two steps back… so I either haven’t figured out the right deck yet, or maybe the Wild meta is fairly balanced at the moment, which wouldn’t be a bad thing. I’ve tried a variety of decks and am winning/losing equal numbers of games it seems. Reno Priest can definitely be better than T4, but you can’t play it the same way as before the nerf to Raza. I’ve had success building a tempo/value build with Awaken the Makers and N’zoth. The curve is pretty nice, and the deck has some solid answers to both aggro and control decks. It’s not perfect, but it’s still quite solid. Maybe if you build Reno Priest more like a Tempo/Control deck (so basically the way it was played before Shadowreaper Anduin), it might work better. I guess that most of the players didn’t feel like figuring that out yet, though. Would it be a higher tier deck? Really hard to say. 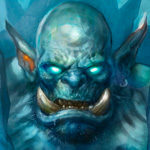 Does anybody recomend the aggro shaman need å cheap deck…..
roffle, you recently played Mill Druid on stream. where do you think it is right now? I still haven’t played enough games to say for sure, but maybe Tier 3-4? It has the potential to pick up the right matchups, but could still use some refinement. what is better combo priest or dragon combo priest anyone know? Will attempt to watch your stream more for your effort in all this research and time you put in. Respect that you are the one running wild ATM lol. GREAT JOB ROFFLE. Good guide he is right this is what you see rank 5 to legend. the guy is right though you cant escape the standard meta (this is very similar a little quicker). I got to rank 2 this season and dropped down to 5 started playing with standard because there was less guides and thought it would be easier. I was wrong. Games take longer to find also at times. Lots of times you will play the same player back to back so it is good to have a couple of decks to switch things up against opponents real quick if you lost. Roffle / Evident, do you find Dragon Priest more effective than traditional Inner Fire? I don’t have much personal experience with either deck, but I would tend to lean towards traditional Inner Fire combo being more consistent. A few players have reported good matchups against some of the Big decks common at higher ranks. As far as I understand this list its just about the tiers. So this list doesnt mean pirate warrior is better than aggro druid just because pirate warrior is on top of the tier 2 list. In general, yes. But stats suggest that Pirate Warrior performs a little better right now, despite the decrease in popularity. Where are you see the statistics is this your personal data? What about Aggro Anyfin paladin? The deck is based on aggro paladin, meaning that its deck power is pretty good, and it has an extremely powerful finisher. It absolutely crushes priest & jade druid, good against cubelock, and pretty good against most other decks. Post is now updated, sorry about the delay! When will we see an updated tier list for Wild? Does anyone play wild other than me? Can you update the new tier list wild plz? when i click on control shaman, wild mill rogue comes. When will the wild tier list come out / be updated ? This list was updated 3 days ago? Still says May 2017. May is when it was published originally. Isn’t Reno Priest a powerhouse right now? This guide hasn’t been updated yet since things are still settling in the Wild meta after the expansion. That said, Reno Priest has received a massive boost from Shadow Reaper Anduin and appears to be top tier. Wild (usually) shifts a little less during expansion releases. Most of these decks, save for one or two new card upgrades, hold up fairly well in the current season. From personal experience, the biggest differences can be found in Reno Warlock (which leans more towards Demons with the DK) and Jade Druid (which is substantially stronger in the format than it previously was). Odd. I don’t see pirate warrior on the tier list. As far as I can tell this should still be classified as a tier 1 strategy? Hey, that was a mistake to not have it on there. Sorry about that, thanks for mentioning it! It should be on the list now. Are there any more events going on in wild right now? In my opinion the WIld meta is just so dynamic and I’m confused why miracle Rogue isn’t on this list. Has great power in wild and I’m sad to see it’s not here. Lets also not forget about the Quest Priest. Personally I’m just glad Blizzard is starting to care about wild. I feel more and more reno decks will become the best decks in wild as they release more cards. Due to the large expanse of cards and value of individual cards. No, miracle rogue is far from tier 1, From rank 5 to legend meta consists from few reno decks, this awful inner fire priest, aggro shaman, aggro pirate, freeze mage and quest warrior. Also as long as there is aggro in ladder there wont be overload of renodecks. Anyfin control is far from dead my friend. Tarim has turned this game upside down, paladin control is CRAZY thanks to him. Also, the deck deals insane dmg in one turn compared to the combo decks posted here. Only Problem is how popular murloc paladin/shaman is in wild. Aggro Rogue runs Finja Packages, and all of that disrupts the deck’s combo. It is definitely still a powerful deck against all of the other classes. Hey evident. You have two secret mages in your wild list and no reno mage. I’m assuming one of them should be Reno mage. I see a Secret and a Reno mage? Maybe I’m not understanding what you are referring to. Under “best decks” it says secret mage. Then under “great decks” it says secret mage.